High Production Speed up to 140 containers/min depends upon the type of PFS. 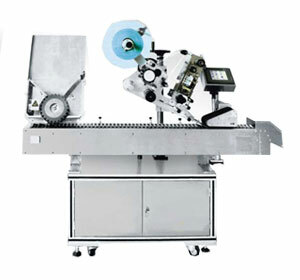 NKSALT -120, Automatic Self Adhesive Labeling Machine is used for labeling of round container which are previously filled and sealed. Cylindrical containers are needed to be put on the in-feed Slant conveyor manually or speaciaed machine is equipped with hopper for automatic feeding. H - 1400 x / w - 670 x L - 1800 Approx.